Nestled in the heart of the Green Mountains, Manchester is a perfect four-season Vermont destination, with something for everyone. Ski Bromley and Stratton mountains, or cross-country ski at Hildene, Robert Todd Lincoln’s 425-acre family estate. Hike the trails at Merck Forest, and learn to fly fish, or simply hone your skills, with the world’s best fly-fishing instructors at the Orvis Fly Fishing School. In the fall, enjoy breathtaking foliage from a canoe on the Battenkill River, along a scenic path, or while relaxing on the porch of an historic inn or bed and breakfast. Big name outlet stores draw shoppers all year round. 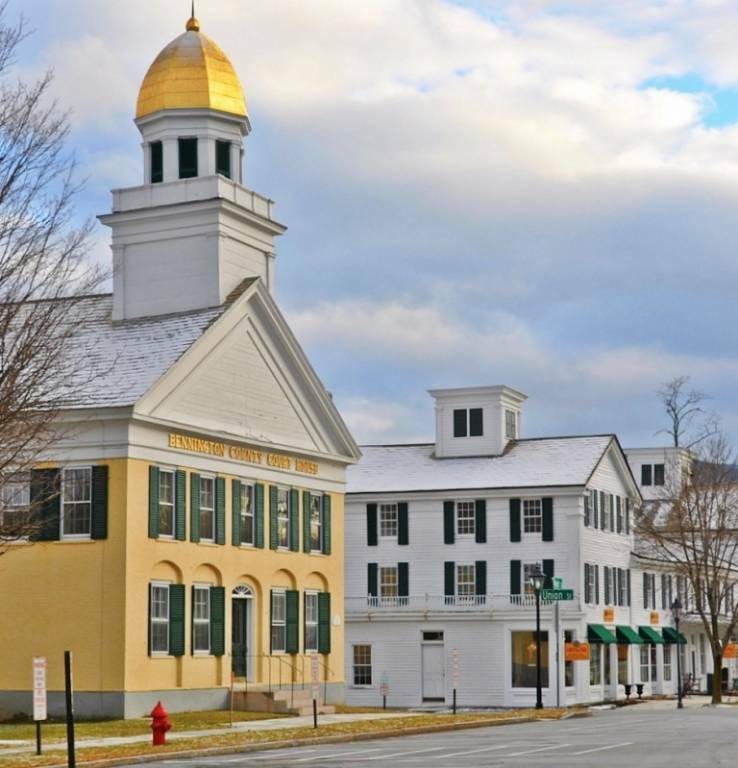 Annual events throughout the region include the Vermont Summer Festival Horse Show, weekly concerts, the Annual Manchester & Antique Car Show, annual sidewalk sales, and much more. No matter what the season, there is always something going on in Manchester and the surrounding towns. Come visit and see everything Manchester and the Mountains have to offer!